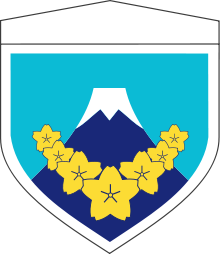 The 1st Division (第1師団, Dai-Ichi Shidan) is one of nine active divisions of the Japan Ground Self-Defense Force. 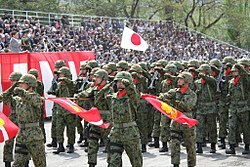 The division is subordinated to the Eastern Army and is headquartered at Camp Nerima in Nerima, Tokyo. Its responsibility is the defense of Tokyo and the Chiba, Ibaraki, Kanagawa, Saitama, Shizuoka and Yamanashi prefectures. This page was last edited on 16 October 2018, at 21:33 (UTC).